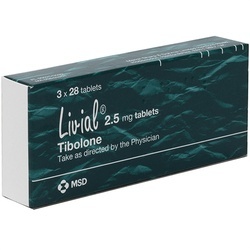 Livial (Tibolone 2.5mg) Tablets 84 is a Hormonone Replacement Therapy (HRT). 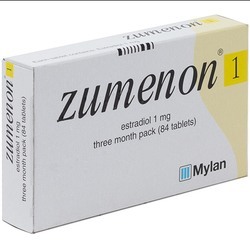 The active ingredient is Tibolone, it is used in postmenopausal women with at least 1 year since their last natural period to relieve the symptoms that occur after menopause. Keep out of reach and sight of children. Store below 25 degrees celcius. Always take this medicine exactly as prescribed by your doctor. 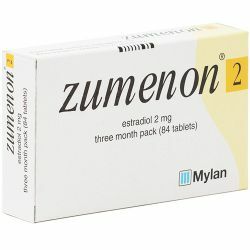 Please read the patient information leaflet before starting this medication. Swallow whole ONE tablet each day with a glass of water, at the same time each day. The active ingredient in Livial (Tibolone 2.5mg) Tablets 84 is Tibolone. 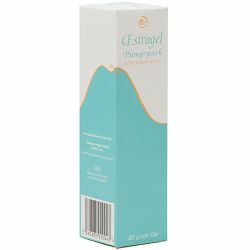 The other ingredients are Potato Starch, Lactose Monohydrate, Ascorbyl Palmitate and Magnesium Stearate. Please read the patient information leaflet before taking this medication.